Margo Price, whose masterful debut album is out now, has been confirmed as the musical guest on SNL on April 9, which is hosted by Russell Crowe. Margo was recently down in Austin for SXSW (where one of her shows was a BV SXSW day party), and more recently she joined Andrew Bird for a show at Nashville’s Ryman Auditorium last night. They live-streamed some of their rehearsal, where you can see Margo singing Fiona Apple’s part from Andrew’s new song “Left Handed Kisses.” Check out that video below. Meanwhile, Andrew brought Fiona herself over to Ellen earlier this month to perform the song. You can watch that performance below too. 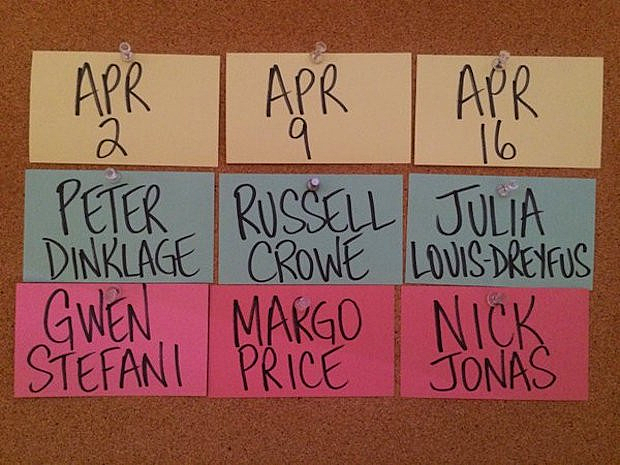 Anyway, getting back to SNL, the other, less exciting upcoming musical guests are Gwen Stefani and Nick Jonas, along with hosts Peter Dinklage and former SNL castmember Julia Louis-Dreyfuss (respectively). SNL has been off the past few weeks, so these shows follow Ariana Grande and Jonah Hill & Future, which were the only two March episodes.